« Centers for Medicare and Medicaid (CMS) Targets Hospital Readmissions – A Disconnect Among the Hospitals or Poor Education? Curated by: Dr. V. S. Karra, Ph.D. Pain is an absolutely unpleasant one. Knowing the time of onset, location, intensity, pattern of occurrence (continuous, intermittent, etc. ), exacerbating and relieving factors, and quality (burning, sharp, etc.) of the pain will help the examining physician to accurately diagnose the problem. For example, chest pain described as extreme heaviness may indicate myocardial infarction, while chest pain described as tearing may indicate aortic dissection. Acute pain is usually managed with medications such as analgesics and anesthetics. 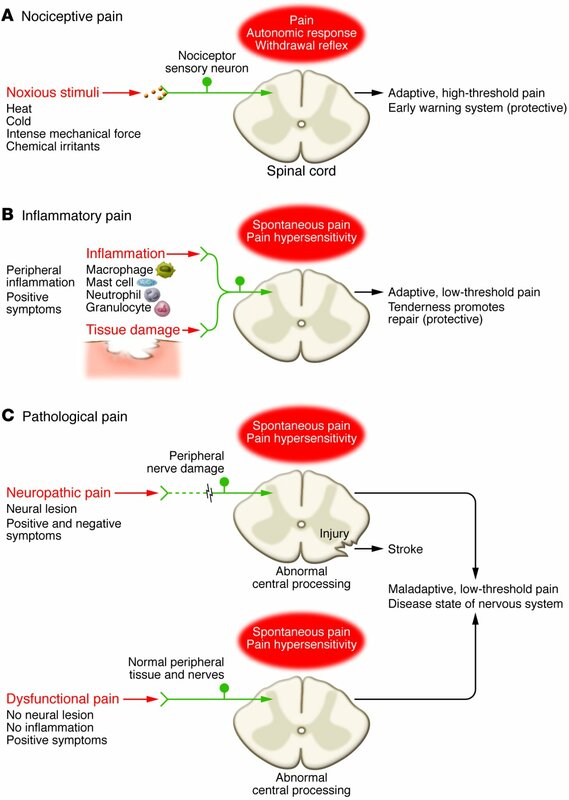 Management of chronic pain, however, is much more difficult and may require an interdisciplinary approach for treating or easing the suffering and improving the quality of life. Psychological factors such as social support, hypnotic suggestion, excitement, or distraction can significantly modulate pain’s intensity or unpleasantness. The International Association for the Study of Pain (IASP) states that “Pain is an unpleasant sensory and emotional experience associated with actual or potential tissue damage, or described in terms of such damage”.. This system has been criticized by Clifford J. Woolf and others as inadequate for guiding research and treatment. Nociceptive pain: is caused by stimulation of peripheral nerve fibers and the stimulants could be Thermal, Mechanical and/ or Chemical. For example “heat or cold” (thermal), “crushing, tearing, etc.” (mechanical) and “iodine in a cut, chili powder in the eyes” (chemical). Pathological pain: is a disease state caused by damage to the nervous system (neuropathic pain) or by its abnormal function (dysfunctional pain, like in fibromyalgia, irritable bowel syndrome, tension type headache, etc.). Pain will have a very detrimental effect on the quality of life. Experimental subjects challenged by acute pain and patients in chronic pain experience impairments in attention control, working memory, mental flexibility, problem solving, and information processing speed.. Acute and chronic pain are also associated with increased depression, anxiety, fear, and anger.. Patients who often have a background level of pain controlled by medications and whos pain periodically “breaks through” the medication is called breathrough pain and it is common in cancer patients . The characteristics of breakthrough cancer pain vary from person to person and according to the cause. Understand genetic and genomic techniques to study genetic contribution to (human) pain. Advances in molecular, statistical and behavioral methodologies have suddenly allowed genetic investigations of complex biological phenomena, including pain. 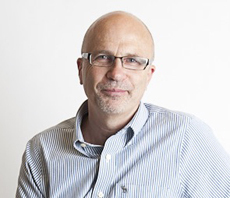 Genetic studies of pain are already showing their power to identify new molecular targets for drug development and create new animal models of pain pathology, says Jeffrey S. Mogil, PhD who is currently the E.P. Taylor Professor of Pain Studies and the Canada Research Chair in the Genetics of Pain and wrote a book on “The Genetics of Pain“. Pain genetics can explain why we’re not all alike with respect to pain – why some people hurt more, and receive less benefit from existing analgesics. The knowledge gained holds the promise of allowing truly individualized pain therapy, says Mogil. Algorithms for accessing and integrating available public data to examine disease-relevant mechanisms are of growing interest as publically available data sets grow at an ever-increasing rate. A meta-analysis of publicly available microarray data from rodents exposed to neuropathic or inflammatory pain was able to efficiently prioritize pain-related genes . A similar approach using human gene expression data could be highly beneficial in generating data-driven hypotheses for pain genetics. Most recent article, published on June 7, 2012, in open access journal PLoS Computational Biology, on “Integrative Approach to Pain Genetics Identifies Pain Sensitivity Loci across Diseases” presented a novel integrative approach that combines publicly available molecular data and automatically extracted knowledge regarding pain contained in the literature to assist the discovery of novel pain genes. This study was approved by the Institutional Review Boards of Stanford University and SRI International. Ranked thousands of diseases according to the Figure shown below. Obtained gene expression profiles of 121 of these human diseases from public sources. Selected ‘genes with expression variation significantly correlated with DSPI across diseases’ as candidate pain genes. Evaluated for significant association between variants and measures of pain sensitivity. In this study, the genes were chosen based on their high correlation with the DSPI and plausible biology as assessed by the available literature and human expression profile across tissue using The Scripps Research Institute BioGPS database . 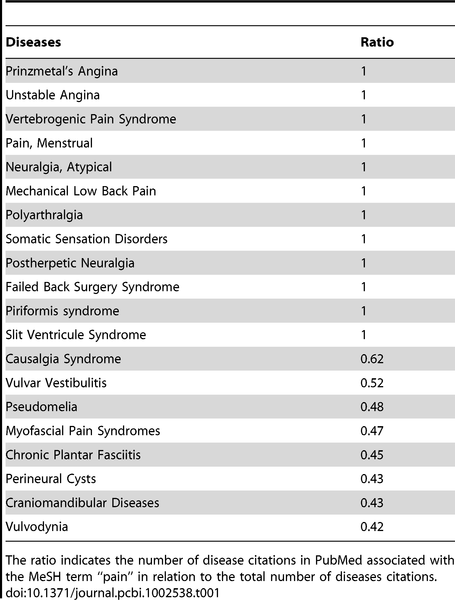 These genes were selected from the candidate list and were prospectively tested for variants that may be associated with differential pain sensitivity in an independent human cohort. ABLIM3 was selected as the top candidate as it showed the highest correlation with the DSPI. ABLIM3 is a newly characterized protein-coding gene. ABLIM3 is expressed in various tissues, most prominently in muscle and neuronal tissue , . Significant associations were also observed with rs12548828, rs7826700 and rs1075791 on 8q22.2 within NCALD (P = 1.7×10−4, 1.8×10−4, and 2.2×10−4 respectively). 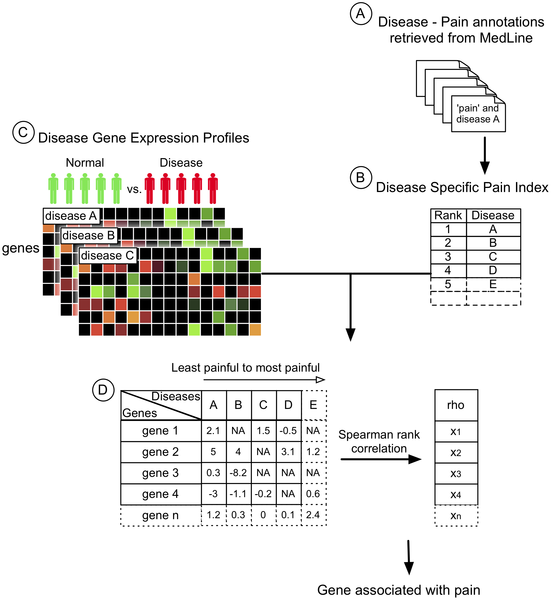 Authors have demonstrated the utility of a novel paradigm that integrates publicly available disease-specific gene expression data with clinical data curated from MEDLINE to facilitate the discovery of pain-relevant genes. This approach was validated through a targeted genetic association study in an independent human cohort, where variants of selected pain gene candidates were evaluated for associations with experimental pain sensitivity measures in humans. MeSH: Medical Subject Heading is a comprehensive vocabulary thesaurus organized in a hierarchical structure allowing the indexing of publications with various levels of specificity. Beautiful — Most important post !! very well explained the reason of pain.An effort to suggest relief from pain would be even more helpful. Very good article! As for pain relief I have found Bowen Therapy and Somatic Movement Therapy very helpful for chronic back pain. There are also herbal formulations such as Pain Formula which contains white willow, sweet cherry and boswellia. A client at our clinic with chronic pain found that the Pain formula helped with the “spikes of pain”. I believe that a more integrative approach to pain in the treatment realm is integral to reducing iatragenic pain killer addiction. Acudetox – a specific acupuncture detox protocol for assisting with overcoming addiction, is also very beneficial for temporary reduction of pain. It is the only stand alone certification for acupuncture outside of being a licensed acupuncturist. I have witnessed the relief it provided hundreds of times, from chronic back pain, to rheumatoid arthritis, to acute trauma injury. It is a wonderful adjunctive therapy, and should be more widely used. It is very cost effective! I would also like to see it used post surgery for pain and assist with detox from the anesthesia, hopefully mitigating some post surgery/anesthesia complications.